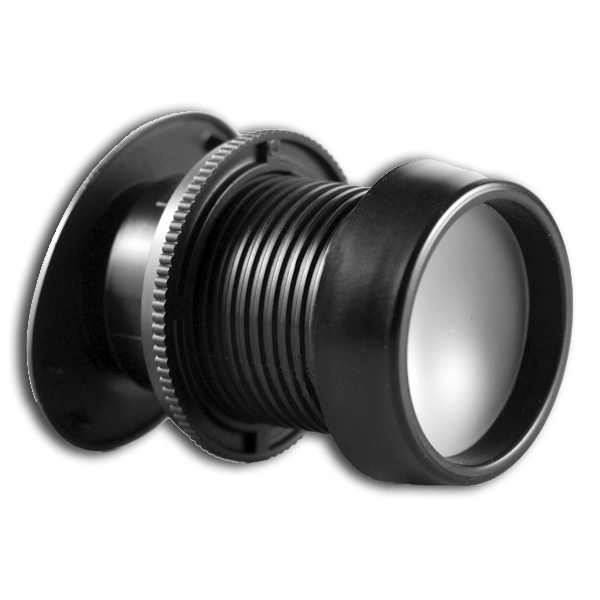 Door Viewer / Door Scope model DS175 is an amazing high tech optical device that replaces conventional peep holes. 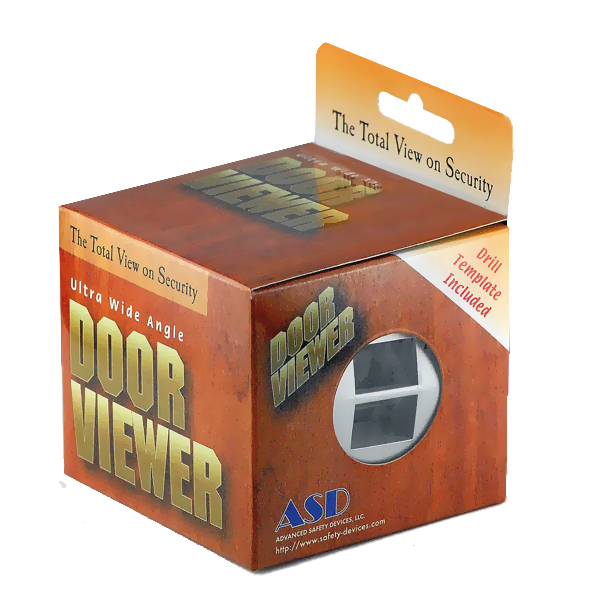 Mounted on any door, they allow for a clear view of the outside even if you stand 6 feet away from the door. This unit features an ultra wide angle for viewing. 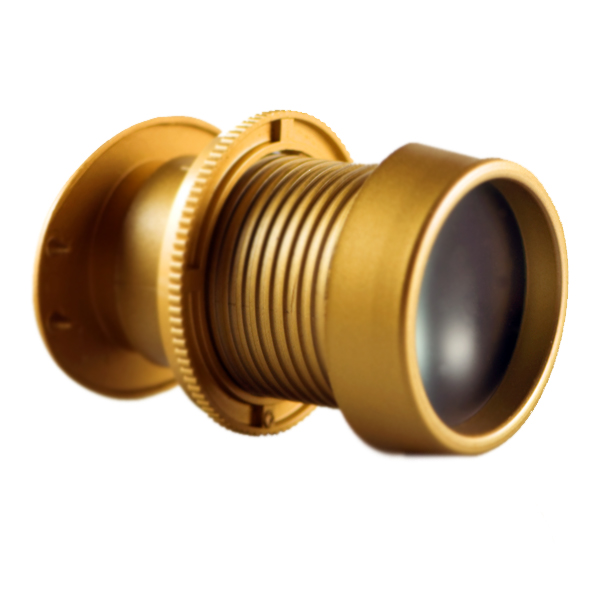 The Door Scope DS175 does not leave any dead zones for intruders to hide. 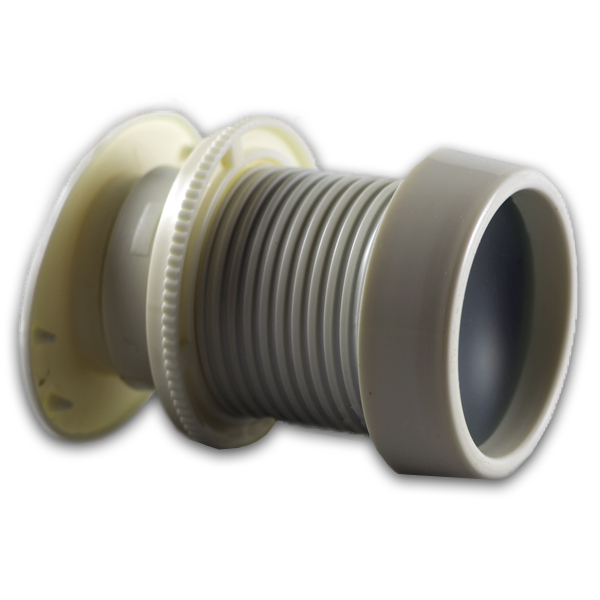 Door Scope does not require a battery or electrical connection and is an easy do-it-yourself installation. The viewing image completely lacks distortion even at the image's edges. 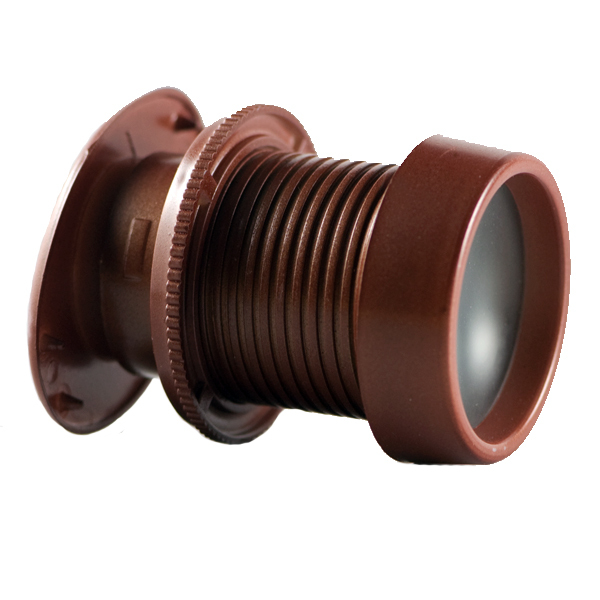 Say good-bye to your conventional peephole and your stressed eyes will thank you. WARNING: BE AWARE THAT A POORLY IMITATED DOOR VIEWER WITH PART# "DS1000-DS175-AG,CH,WT,SL" IS NOT THE ACTUAL DS175 NOR THE DS1000. CREATING SUCH A PART NUMBER AS "DS1000-DS175-AG,CH,WT,SL" IS SOLELY INTENDED TO MISLEAD CUSTOMERS INTO THINKING THAT THEY WILL BE GETTING THE DS175 OR THE DS-1000. Caution: The two or 4 small index holes are drilled from the outside. They need not be deeper than 1/4". Do not drill all the way through. After the outside piece and the body are hand tightened, fasten the ring nut on the inside to firmly secure the viewer against the door. Easy to install. The stick-on template is a good idea. The system needs a lot of light though. I expected the all glass optics to work a little better. I put it in a garage entry door and even with the big door open the image is dull. Still better than a peephole and much simpler than a camera.